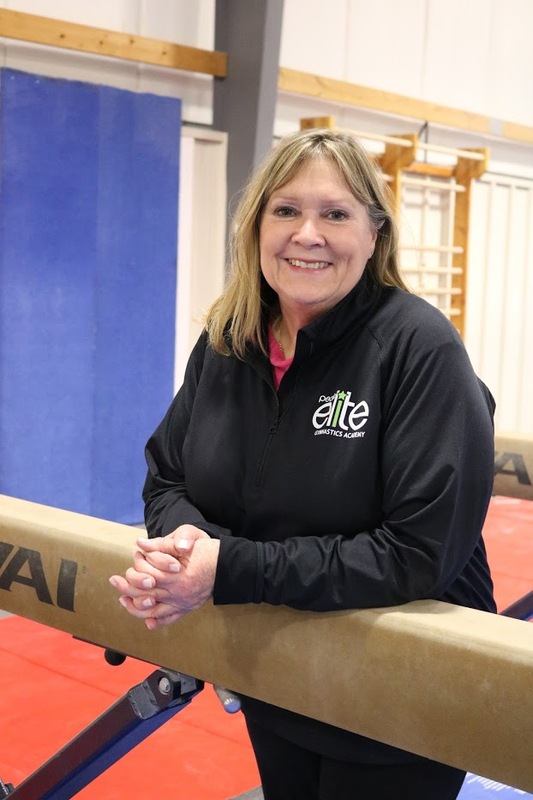 Karen began her coaching career 33 years ago in Peoria, Illinois at the YWCA and Frank Freeman’s School of Gymnastics. Karen is also a beam and floor choreographer. 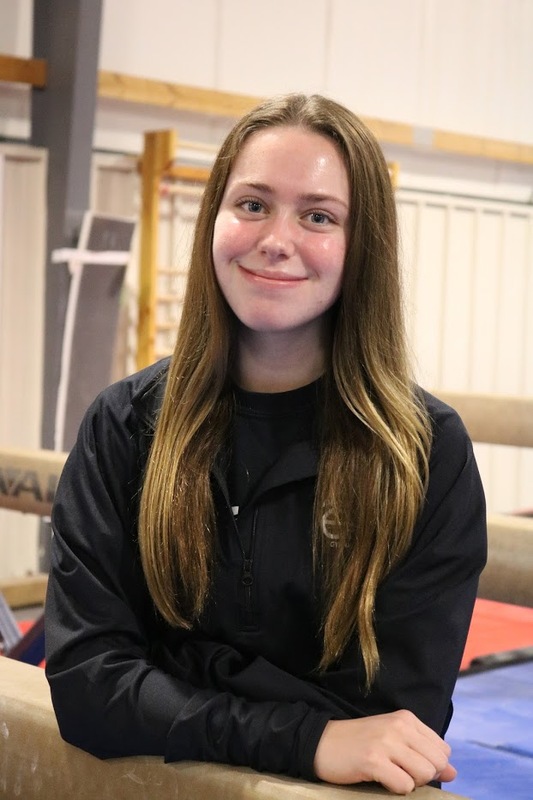 After coaching four years in the area, she accepted a coaching job in Singapore for two years for their optional team that competed internationally. She returned to the States and found her way to Texas where she coached for two years before opening her own gym in Texas with her husband. 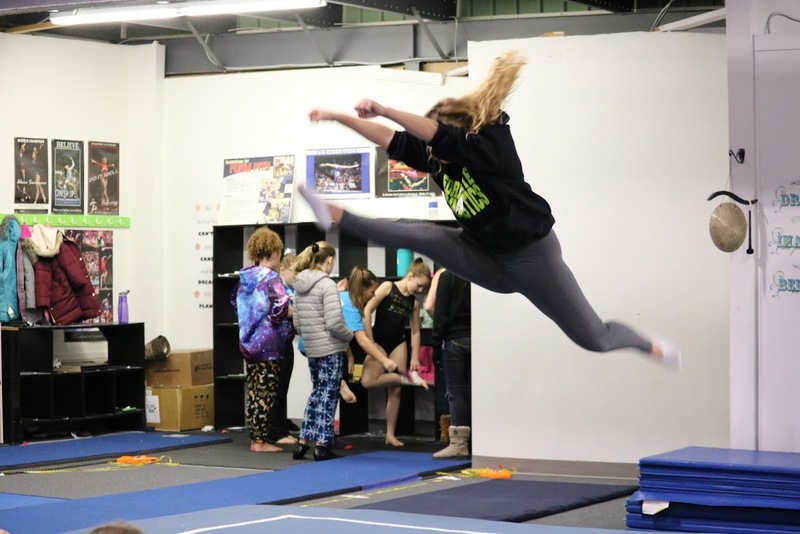 Their gym had recreational and team gymnastics, along with a tumbling and cheerleading program. During this time, she completed her Elementary teaching degree and her Master’s degree in Secondary Education. She taught Middle School Language Arts and coached in the evenings and weekends. Their gym had many successful gymnasts for 17 years, and several even received college scholarships. When her husband developed some health problems in 2005, they sold their gym. 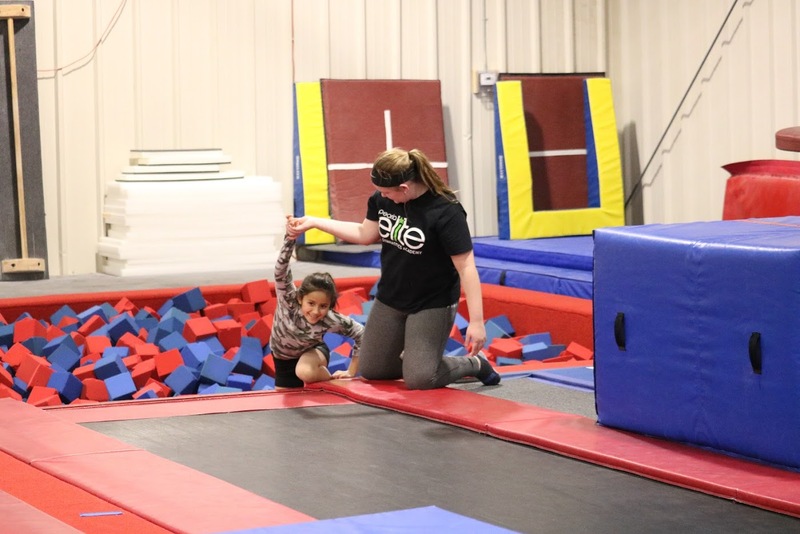 She moved back to Peoria in 2007 where she started coaching again and was the Director of the Tumbling Program at the YWCA. 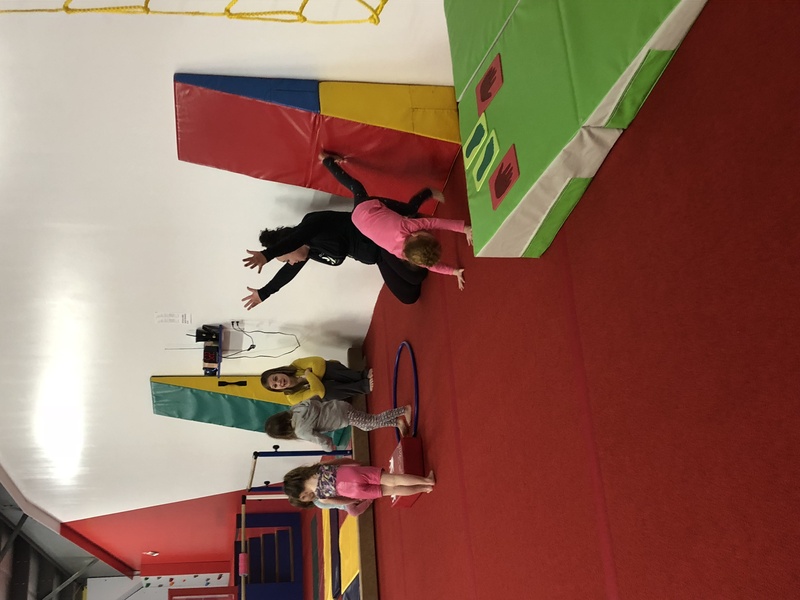 In 2009 she resumed coaching and developing the successful gymnastics teams at the Clubs at River City. 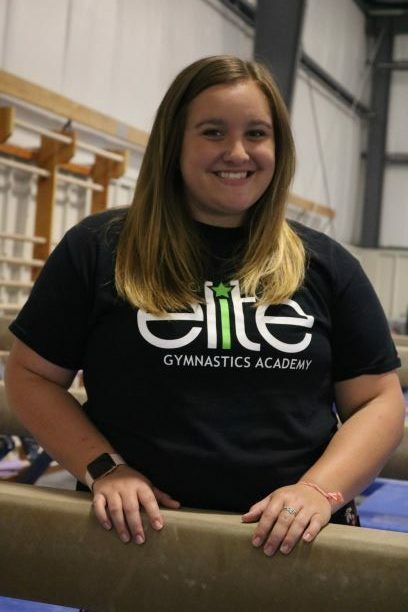 Recognizing the talent in the Peoria area and the potential need for an Elite program, Karen decided to join the Peoria Elite Gymnastics Academy in 2014. Karen is a USAG Professional member, USAG Safety Certified, and Red Cross CPR/First Aid Certified. 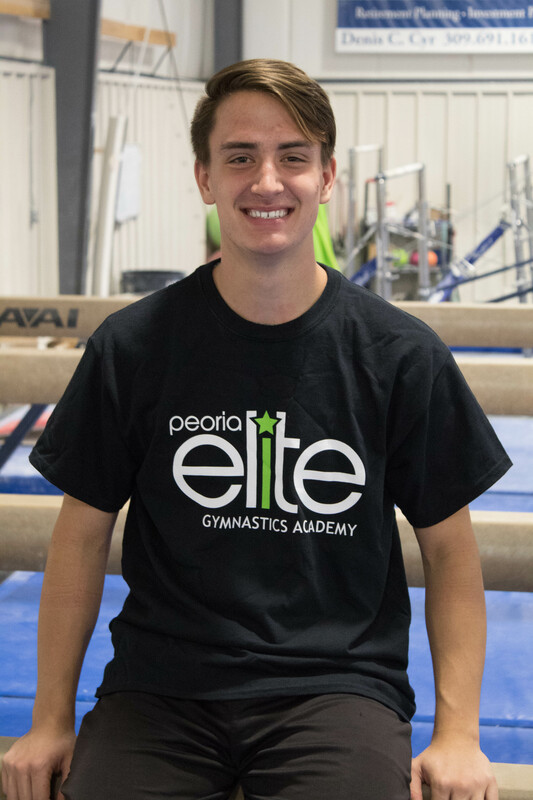 Jonathan started gymnastics at age 5 in the Chicago area and competed for the Oak Park Gymnastics for nine seasons from age 10 through high school. 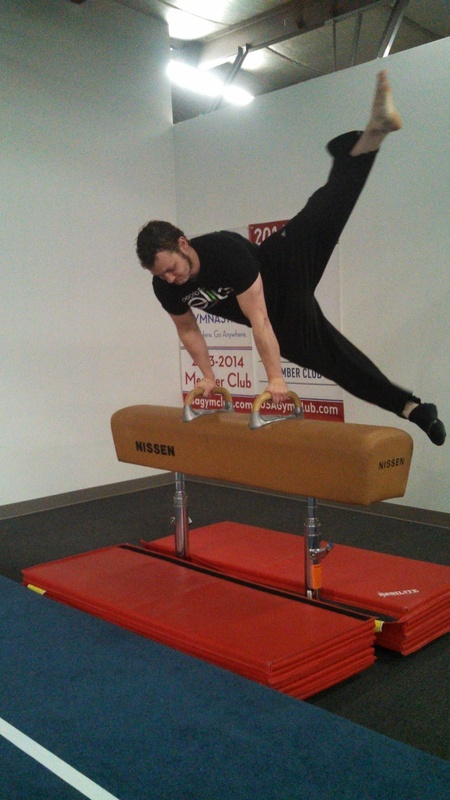 During his competitive career he attained Regional top ten finishes on floor, parallel bars, and all-around. He started his coaching career at age 15, coaching boys’ team and developmental team at Oak Park. 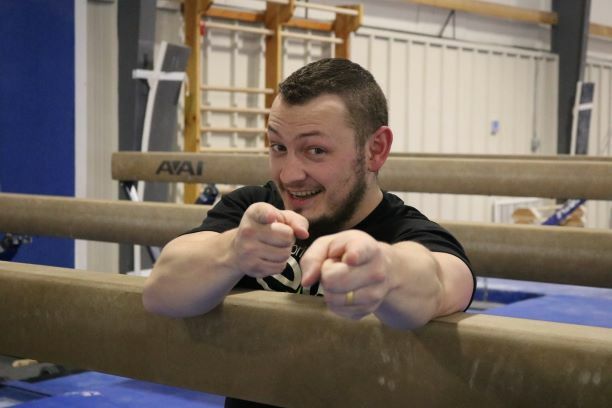 After moving to Bloomington, IL for college, he started coaching girl’s gymnastics at Rising Star Gymnastics, becoming Xcel Team coach in the 2012-2013 season and Level 3 Team coach in the 2013-2014 season, producing state champions on bars and floor. 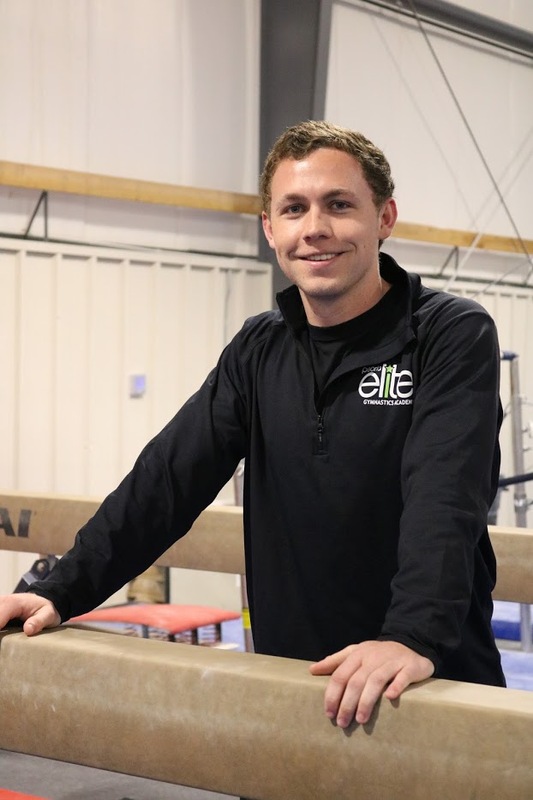 Jonathan joined the Peoria Elite Gymnastics Academy staff in June 2014 as full time Compulsory Coach and Recreational Program Director. 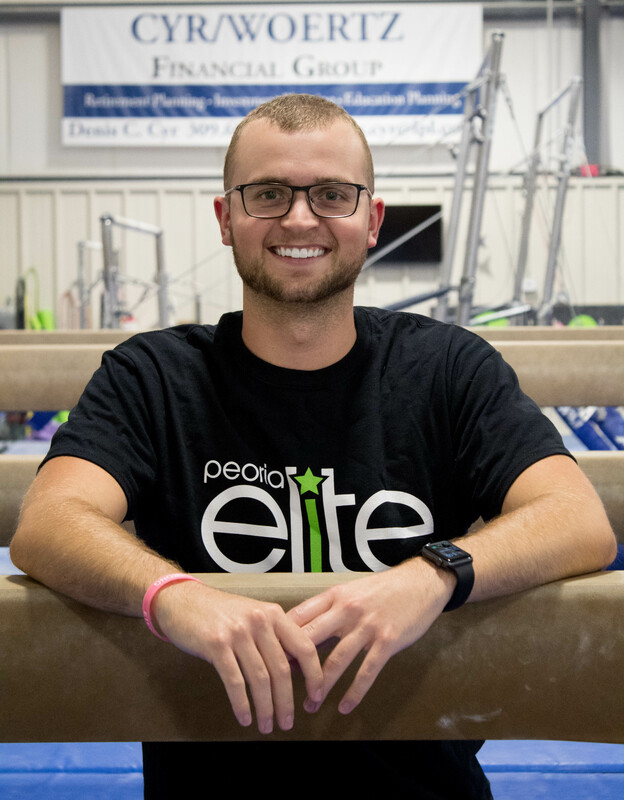 He specializes in bars and vault coaching, but also enjoys coaching tumbling and is learning dance concepts for coaching beam and floor and has helped implement a strength and conditioning program for the team and pre-team. He has helped produce state bars and all-around champions for PEGA. Jonathan is developing his optional spotting techniques with the goal of reaching head coach caliber in the near future for a high level USAG program or eventually for NCAA gymnastics. Jonathan holds a degree in Music Education from Illinois Wesleyan University and has taught private voice lessons and appeared in operas for Illinois Wesleyan. He lives in the Peoria area with his wife, Kathleen. They are thinking of getting a cat. 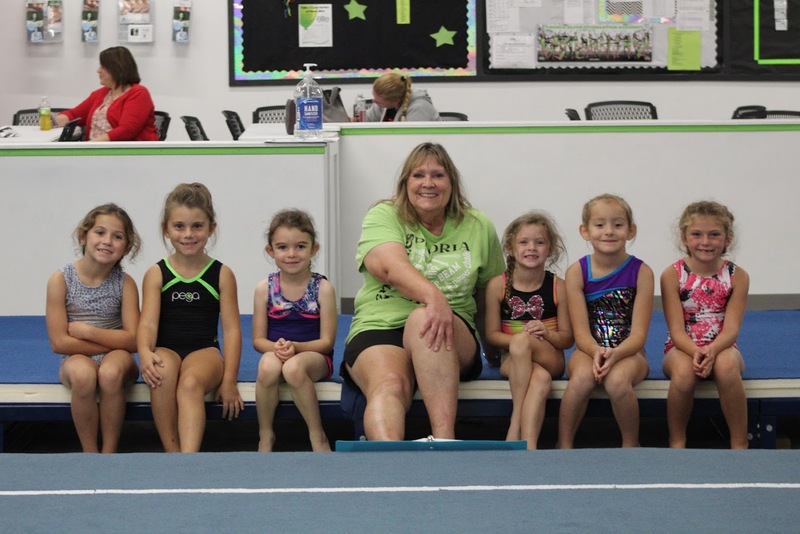 Laurel has been coaching competitive gymnastics for 18 years. 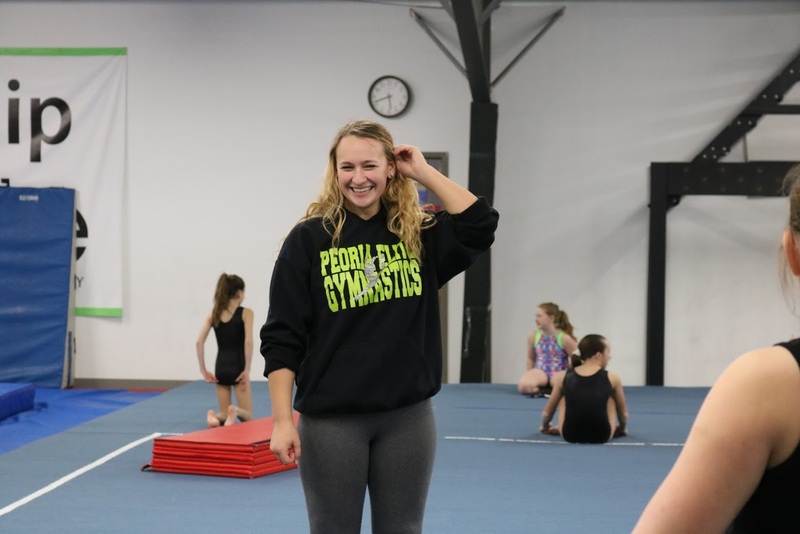 She has worked with athletes of all levels from recreational classes to Level 10, as well as Xcel. 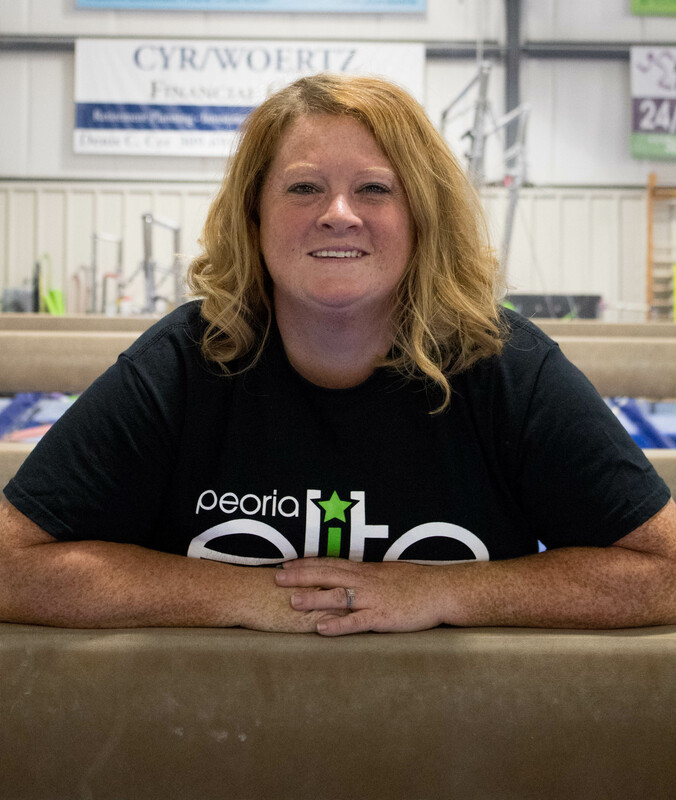 She began her coaching career in Michigan and has also coached in the Chicago area as well as at another Peoria gymnastics facility. Laurel holds a Bachelor’s degree in Kinesiology from Michigan State University and a Master’s degree in Sports Management from Eastern Michigan University. 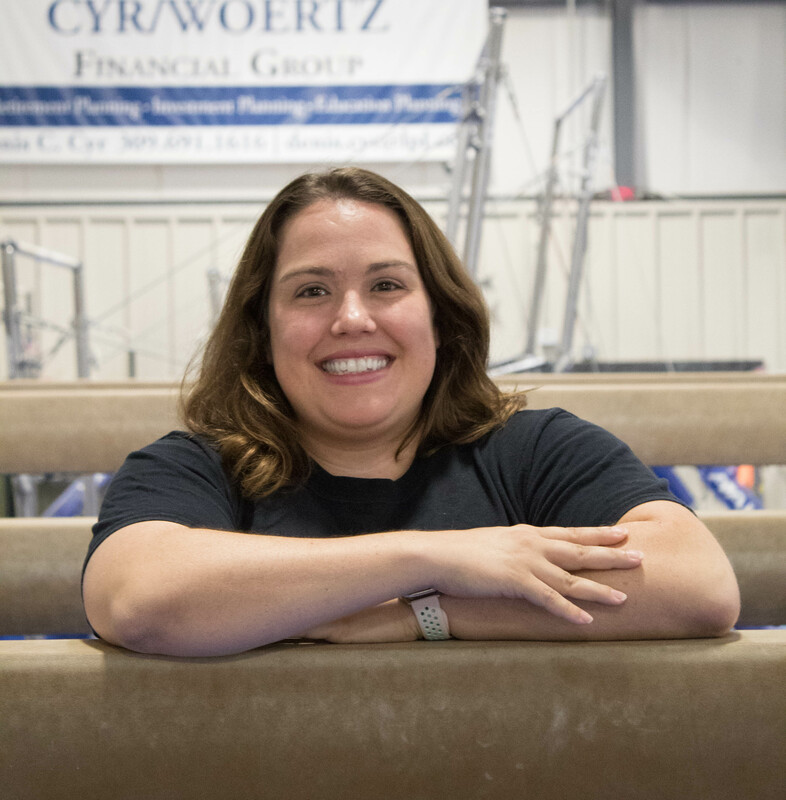 Her love for gymnastics is what led her to pursue these degrees. 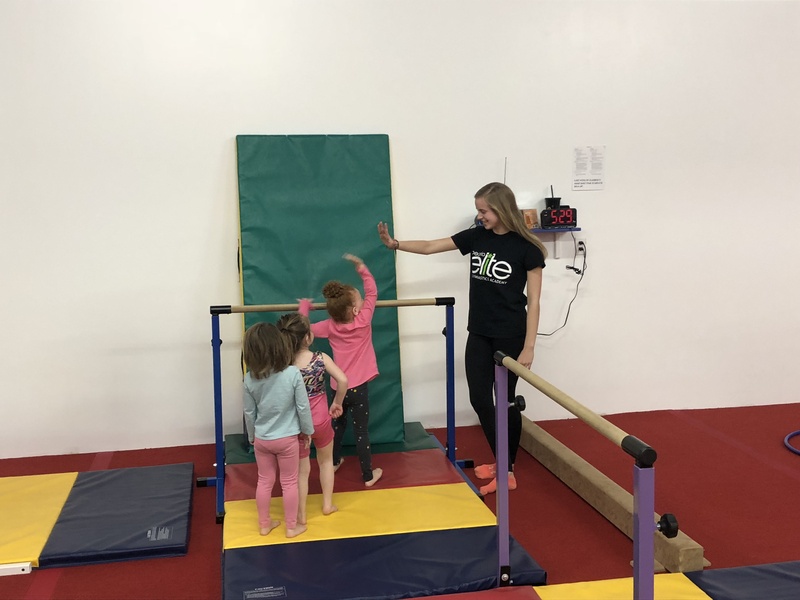 Throughout her 18 years of coaching, Laurel has discovered that all gymnasts learn in different ways and at different paces. She tries to cater her coaching to ensure she is meeting each individual athlete’s needs. While she expects hard work in the gym, if there is music turned on (compulsory floor music included) you will probably catch her doing silly dance moves when she thinks no one is watching! On a personal note, Laurel and her husband, Chris, have a three year old son named Jacob. Jacob already has a love of gymnastics and has asked his mom to teach him how to do a “real flip” when he gets older. Miss Emily entered the world of gymnastics when she was 3 years old. 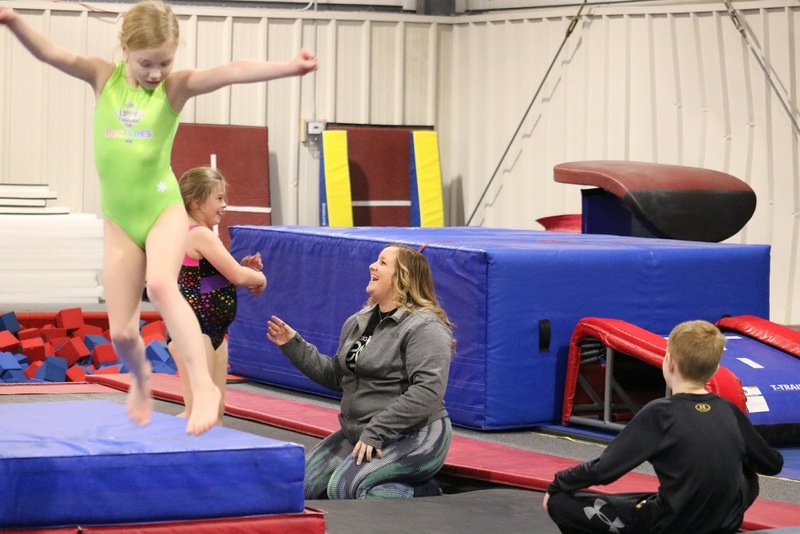 She quickly fell in love with the sport and competed in gymnastics for 15 years. She graduated from Lewis University in 2013 with her Bachelor of Arts degree in both Sports Management and Athletic Coaching. 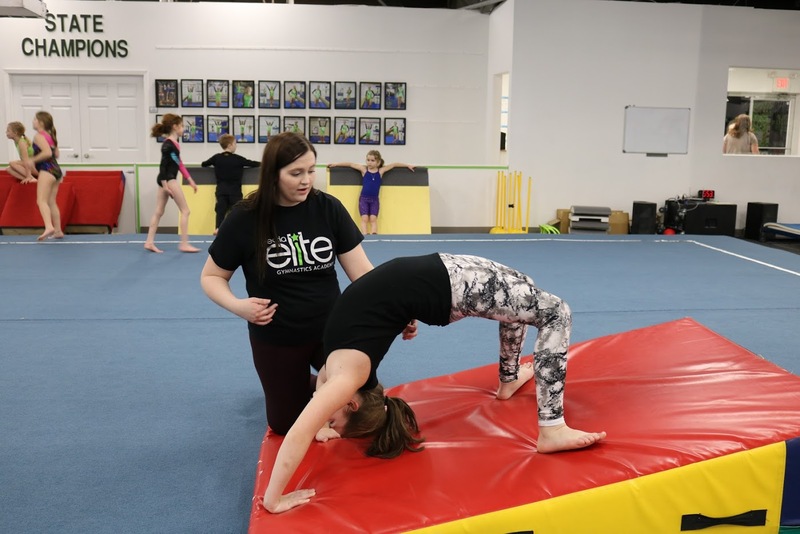 Emily is a professional member of USA Gymnastics, the national governing body of gymnastics in the United States, and she is also Safety Certified. 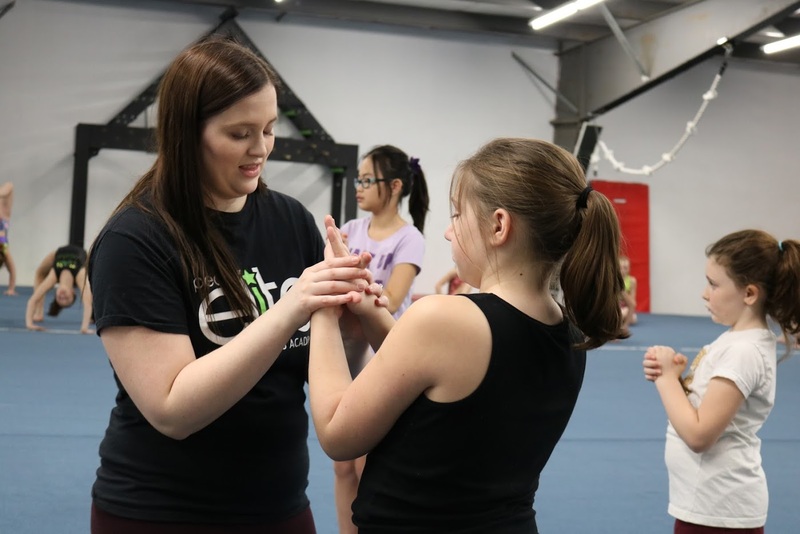 Emily has been coaching gymnastics for over 11 years and during this time, she coached preschool all the way through competitive team gymnastics. 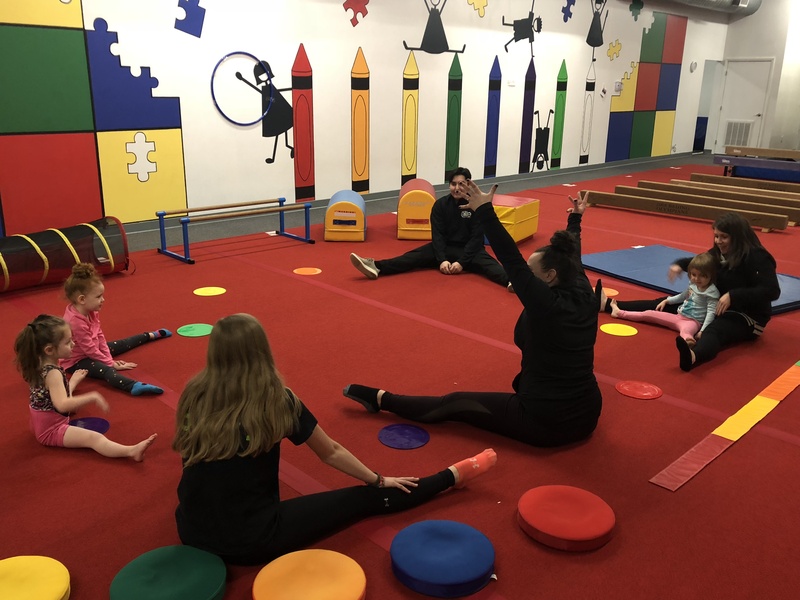 After being a program director at IGI in Westmont, IL for 5 years, she became employed at the Park District of Oak Park where she was a coordinator and most recently was the Gym Director of The Little Gym in Barrington. She now joins the Peoria Elite Team and is excited to bring some fun dynamic ideas to our Preschool program! Mr Dakota is a current collage student at Methodist College studying Health Care Administration & Management. He started his tumbling and trampoline career his senior year of high school and since has been as involved in it as possible. In college he coached All-Star cheer and stunting. He has also coached many other sports including soccer, and also helped with many special Olympic events. 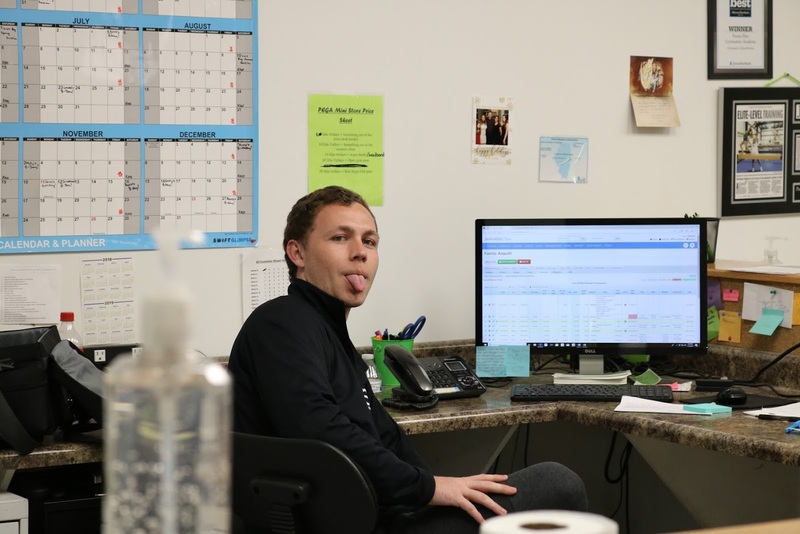 He has found his passion in working with children and finding opportunities to help each child achieve their goals and gain confidence and strength within themselves! He is excited to uses his knowledge of many different sports to help our Ninjas understand how to safely overcome any obstacle in their path with speed, grace, power, and confidence! In his free time he enjoys hanging out with friends, and traveling. He enjoys the outdoors & prefers the mountains over the beach! My name is Alicia Vonk, I am a cosmetologist, I have a husband and 3 children. Family means everything to me. I have a background of cheering and tumbling, and trampoline. I love the outdoors, and most sports!! I love coaching and teaching children!! Mr. Josiah has been doing gymnastics for over 10 years. He has turned his passion into his job where he has now been coaching over 3 years. 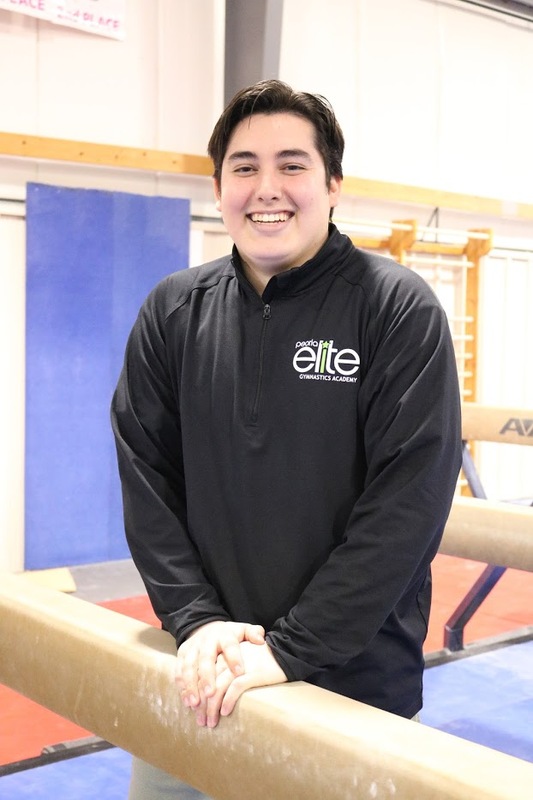 Always wanting to grow Josiah has been able to coach all levels at our gym and is now working on assisting our competitive team and Hopes program. 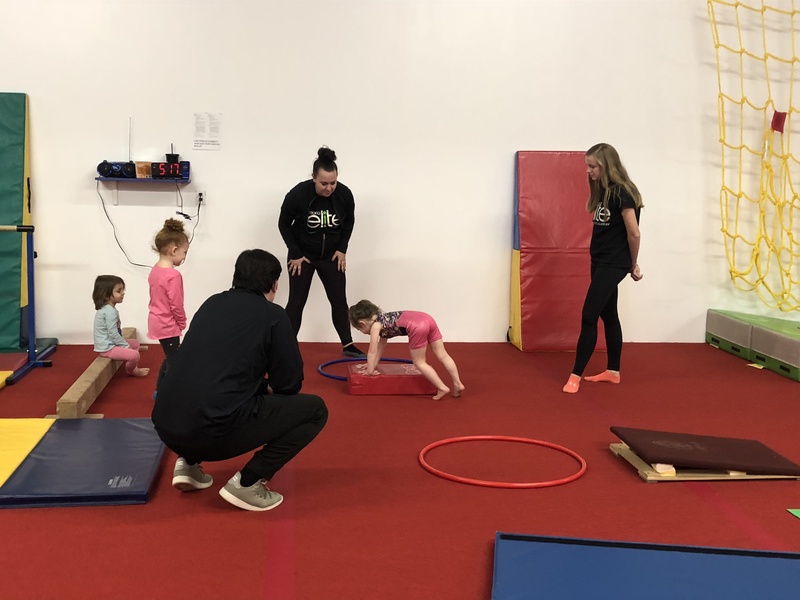 He has had the opportunity to compete and train at many different gymnastics gyms and loves teaching and showing all the kids about his favorite sport…Gymnastics! Miss Olivia D is currently a Junior at DHS. She did gymnastics for 12 years and school cheerleading for 4 years as well as competitive cheerleading for 1 year! Her favorite color is Yellow, when she is not at the gym coaching or at school she loves hanging out with her 2 siblings. Her dream pet would be a Huskey or a golden retriever! Miss Oliva C is currently a Jr. at Dunlap Highschool. She did Gymnastics for 8 years and even was a Regional Champion in Bars and Beam! 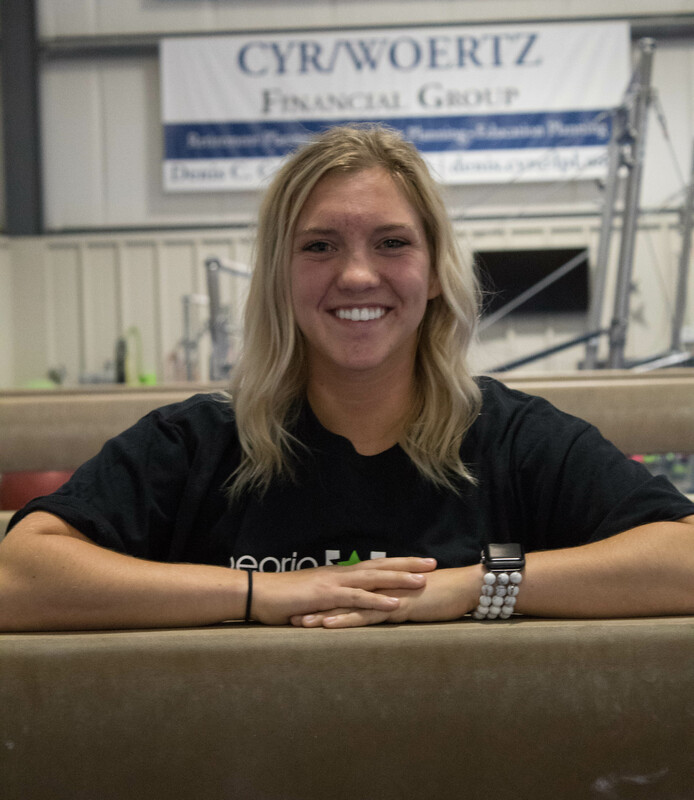 She is currently using her past gymnastics experience to pursue diving and loves sharing her passion for gymnastics with all of her students! Miss Alaina has done competitive power tumbling from age 10-14, winning a state and national championship title in 2012. After that she began cheerleading and has been cheering at Illini Bluffs schools for 7 years. At school she is a competitive cheerleader, and she is also in all star cheerleading. 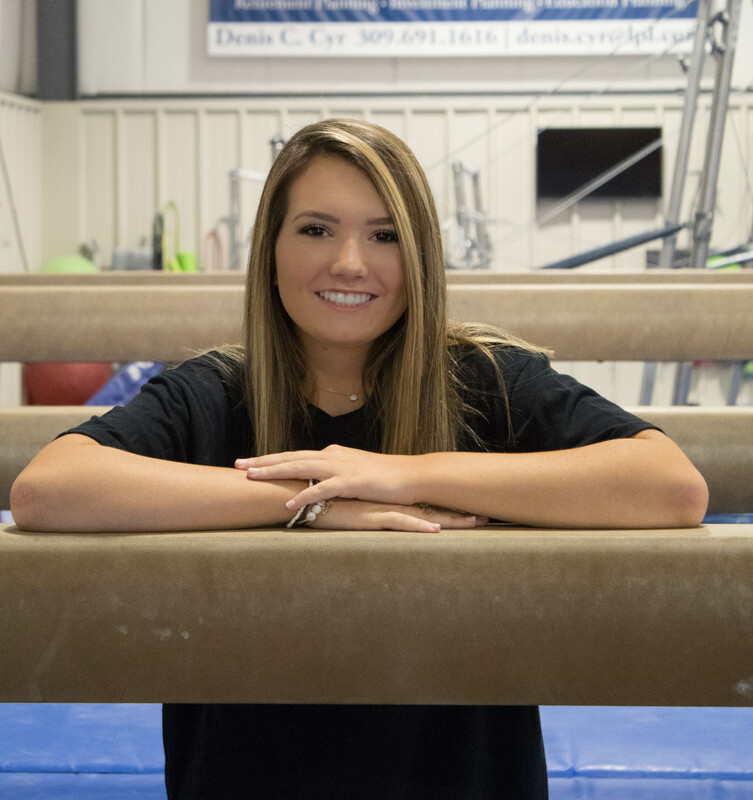 She has won many national titles and competed at the prestigious Summit Championship in 2017 at Disney World where her team placed third place in the nation. 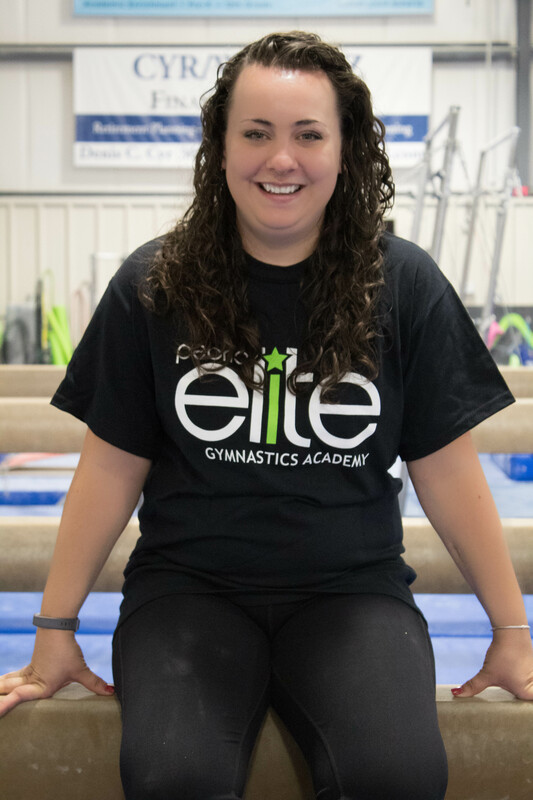 She joined PEGA in order to teach skills and develop the love of tumbling, cheerleading and gymnastics within kids is a huge dream of hers. Outside of cheerleading she is always with her friends and family. She also love pizza and root beer, and her favorite holiday is Christmas! She always encourage the kids to reach for the stars, and bring home the moon! Molly started gymnastics at the age of 3. 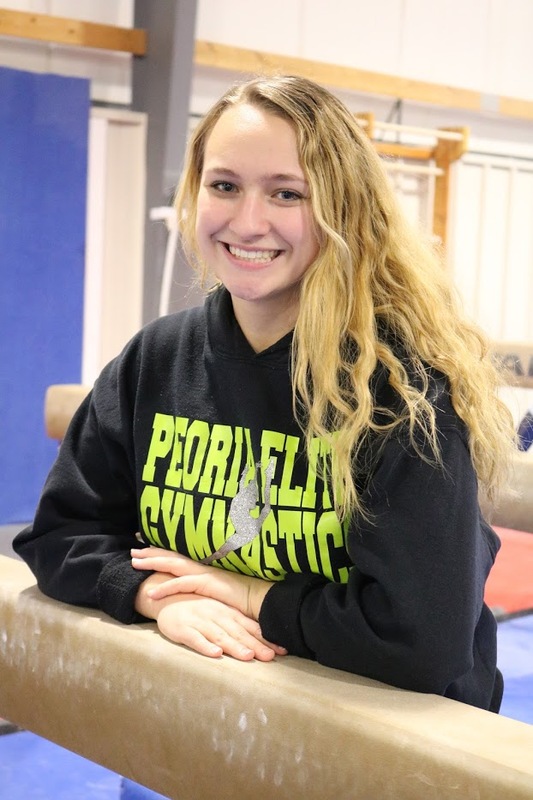 She has done both gymnastics and cheerleading through high school where an injury forced her to quit. She continued to stay a part of the sports by becoming a coach and was able to coach for 2 gyms in the Chicago Land area. She grew up in a large family where she was one of 7! Which lead her to always surrounded by children which inspired her to get a degree in Special Education, She is currently studying at Eureka College. Children have always had such a place in her heart, she loved teaching children to push them selves and have confidence in who they are! 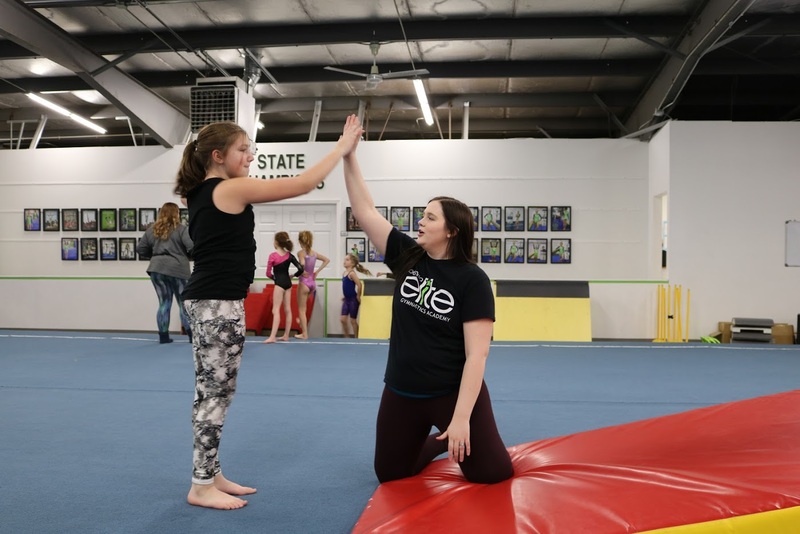 At Peoria Elite Gymnastics Academy (PEGA), we believe that everyone who participates in our programs receive the same high quality coaching regardless of ability. 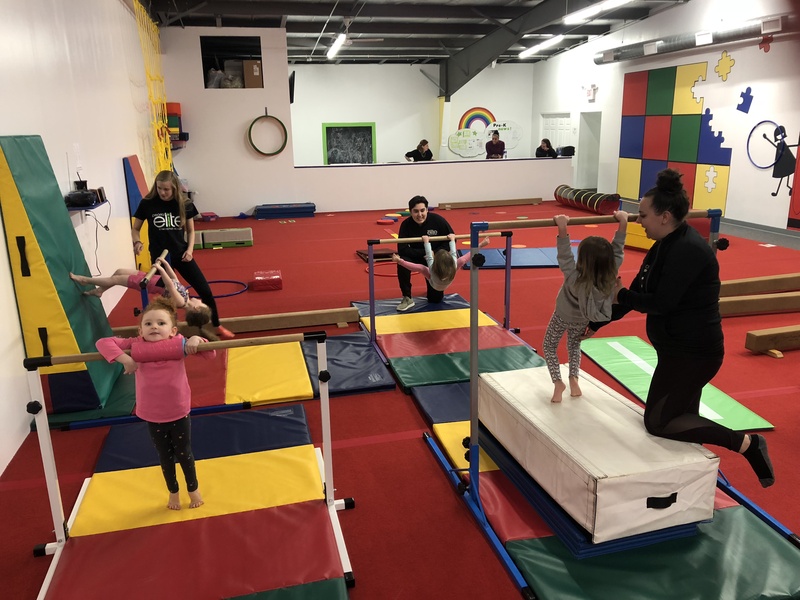 We provide a family friendly environment and a dedicated, trained staff with new, state-of-the-art Olympic level equipment in a spacious, 18,000 square foot air conditioned and heated facility.